 San Marco Museum: book your tickets now! 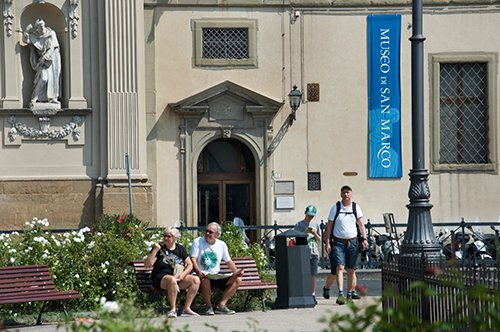 WHY VISIT THE SAN MARCO MUSEUM? 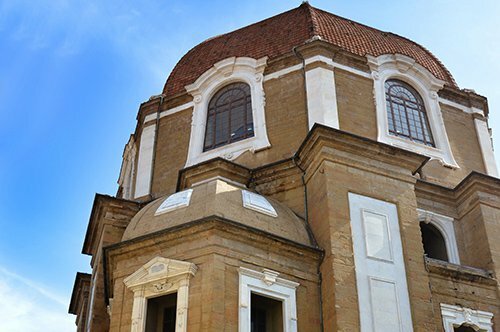 The visit of this museum will allow you to know the splendid architecture of the Renaissance monasteries and admire the largest collection of works of Beato Angelico (Fra Angelico) and other artists such as Domenico Ghirlandaio, Fra Bartolomeo and Bernardino Poccetti. You can also visit the many volumes of famous manuscripts found in the library inside the convent and visit the places where Savonarola stayed, among others. The museum located in the Piazza San Marco is part of the large complex of the old Dominican monastery of San Marco restored in the second half of the 1400 by Michelozzo who was commissioned by Cosimo Il to rebuild the convent according to the "new" Renaissance canons. In 1443 the convent was consecrated and was composed of functional environments overlooking two cloisters. Beato Angelico, Antonio Pierozzi and Girolamo Savonarola lived here for years. In 1808 the convent was confiscated from the friars and returned to their property only after the fall of Napoleon. At the end of the 1800s, the friars had the church, the cloister and the library. In 1896 the complex became a museum collecting most of the works of Beato Angelico. Until 2014, the convent of San Marco housed some friars of the Dominican community who in recent years were transferred to the Santa Maria Novella complex. WHAT IS THE SAN MARCO MUSEUM NOWADAYS? The San Marcos Museum was declared of national interest in 1869. This desired architectural masterpiece by Cosimo Il and designed in Renaissance style by Michelozzo today includes among other works, the most important works of Beato Angelico (Blessed Angelic or Fra Angelico) who stayed at the monastery for a few years. Among the most well-known works of this artist it is possible to admire the "Annunciation", a masterpiece of Renaissance painting. Visiting the museum you can immerse yourself in the beautiful architectural structure created by Michelozzo, starting with the cloister of "Sant'Antonino" we will find on the route the church, the hospice, the refectory and the chapter house. In the hall of the hospice the paintings of Blessed Angelic are exhibited, it was the room that welcomed the minor pilgrims. The Assembly room was also painted by Beato Angelico with fresco painting, the "Crucifixion" was completed in 1442. The Lavatory room was the place where the monks were washed before entering the refectory. The latter is decorated with paintings by Sogliani and other artists of the time. The second floor of the building also houses frescoes by Renaissance artists and was the place where the monks' cells were located. The San Marco complex is completed with the Library. Here you can find important manuscripts that belong to the Medici, Agnolo Poliziano or Pico della Mirandola. Did you know that the San Marco Museum currently houses the bell called by the Florentines "La Piagnona" (The moaner) and that it has been attributed to Verrocchio? The name comes from Piagnoni, that were the followers of Savonarola who constantly complained of Florentine custom considered unorthodox. Piagnona was then the bell of the church where Savonarola stayed and rang the night of April 8, 1498, to ask the help of the Florentines for the attack of the followers of the Medici. Savonarola, as the story tells us, was captured and burned alive in Piazza della Signoria on May 23rd of the same year. From that day, the "Piagnona" was taken around the city and was beaten and never played again. Did you know that usually the scene painted in the refectory of the convents is "The Last Supper"? The variant of the "Providence of the Dominicans" is due to the belief of this order of friars that tells that having been left without food after the death of the founder, they were saved by the angels who served them food. HOW TO VISIT THE SAN MARCO MUSEUM? If you want to visit the San Marco Museum, you can buy the ticket online. A few minutes on foot from Piazza San Marco, it is possible to visit the Piazza Santissima Annunziata, which houses the Basilica of the same name, designed by Michelozzo in the mid-1400s, The Ospedale degli Innocenti (The Hospital of the Innocents) and the Archaeological Museum. 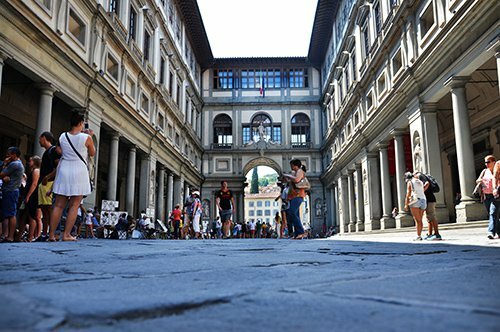 Between the Piazza San Marco and the Plaza Santissima Annunziata is one of the most important landmarks in Florence, the Accademia Gallery that houses, among other things, the famous statue of David by Michelangelo. You can admire this work symbol of Florence in the world sculpted by Michelangelo at the splendor of his career. 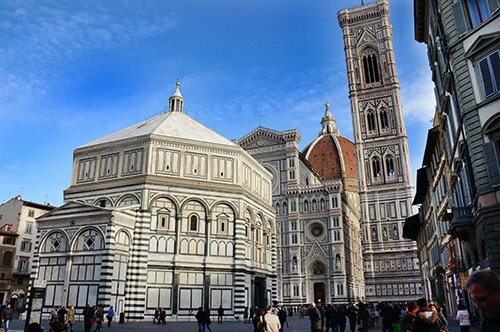 Let yourself be guided by the map of Florence and you will arrive in a few minutes to Piazza Duomo, characteristic for the beauty of its monuments, the Cathedral of Florence, the Giotto Tower and the Baptistery of Saint John (Battistero di San Giovanni). 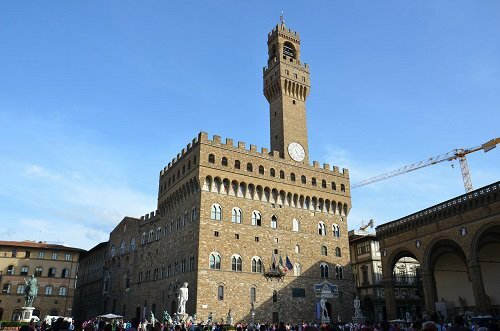 In Piazza della Signoria you will find the Palazzo Vecchio, the seat of civil power in the city, which was the residence of the Grand Duke of Tuscany before being transferred to the Pitti Palace. The two Palaces are connected by the Vasari Corridor, an elevated Corridor that crosses the Uffizi Gallery, the Ponte Vecchio and the Boboli Gardens. 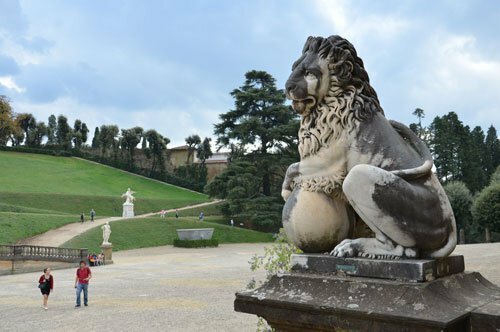 This palace houses two magnificent museums, the Palatine Gallery and the Modern Art Gallery overlooking the splendid Boboli Gardens. 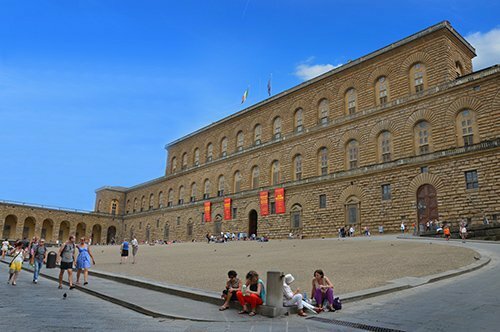 Many of the works of art contained in the two museums come from the collection of the Medici Family. The main representatives of this important family are buried in the Medici Chapels in San Lorenzo. 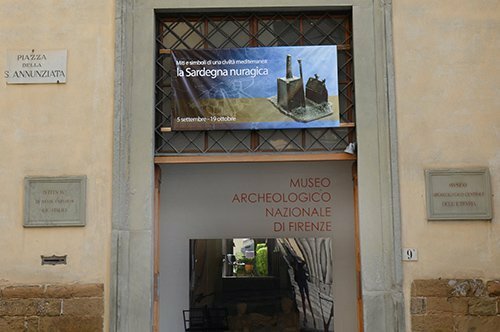 Behind San Lorenzo is another Florentine museum that you can not miss, the Bargello Museum, which contains many sculptural works of great level. 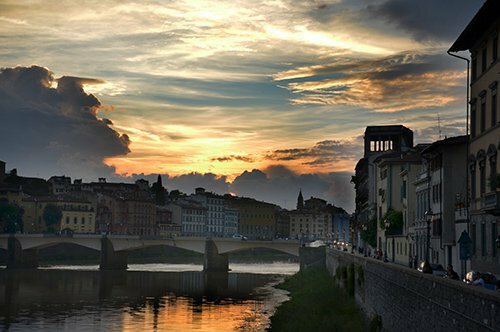 Walking along the street that goes from Piazza Pitti to the neighborhood of San Niccolò you can visit the Bardini Museum and continue the walk up to the famous Piazzale Michelangelo. 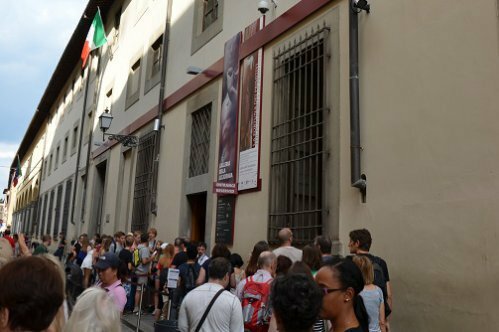 The Casa Buonarroti was also dedicated to Michelangelo, his home in the center of Florence. Tuscany is a region that offers visitors many fascinating places. 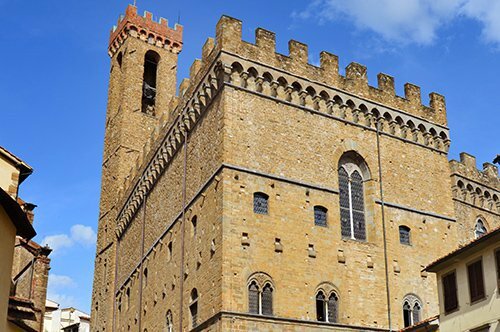 From the small towns of Vinci or San Gimignano to other cities such as Arezzo, Lucca, Pisa with the Leaning Tower or Siena and its districts are some of the many possibilities to get to know this beautiful region starting from Florence.